Bumbu Cottage in Ledbury, Herefordshire sleeps 2 people. 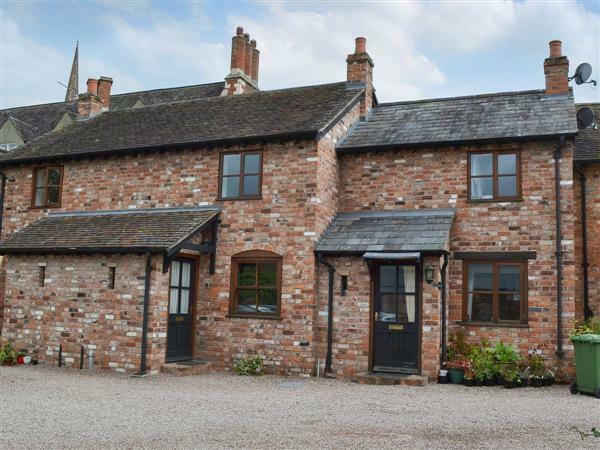 Bumbu Cottage in Ledbury is situated in a quiet area in the centre of Ledbury, a text book market town made up of timber framed buildings, a 17th century Market House and cobbled medieval streets, and well known for its literary and food festivals. This terraced cottage adjacent to the owners home is stylishly furnished with guest’s comfort in mind and is a perfect base to enjoy Herefordshire and the nearby Malvern Hills. All of the towns amenities are on the doorstep, from bars to bistros, shops, antique stalls, crafts and galleries. The nearby picturesque Wye Valley, Symonds Yat and the Forest of Dean, all make for exciting days out. There are a great selection of outdoor pursuits to be found in the Wye Valley and River Wye including fishing, climbing, golfing, riding, canoeing and kayaking. The more cultured places of interest include a wealth of National Trust properties such as Hellens Manor and Eastnor Castle. Also not to be missed is the Regency town of Cheltenham, with its vast selection of shops, eateries and race course. The shop and restaurant are 400 yards from Bumbu Cottage in Ledbury, with the pub 500 yards from Bumbu Cottage. Kitchen: Galley style with electric oven, electric hob, fridge, dishwasher and washing machine. Bedroom: With zip and link super king-size bed (can be twin beds on request) and en-suite with shower cubicle and toilet. Gas central heating, electricity, bed linen, towels and Wi-Fi included. Private parking for 1 car. No smoking. Holidays at Bumbu Cottage run from Friday to Friday. Pets allowed at Bumbu Cottage. For a better idea of where Bumbu Cottage is, you can see Bumbu Cottage on the map below. Bumbu Cottage is in Herefordshire; should you be on the lookout for a special offer, you can find all the special offers in Herefordshire. It's always worth checking to see what is on offer at the moment. Do you want to holiday near Bumbu Cottage (UKC2423), you can see other cottages within 25 miles of Bumbu Cottage; have a look to find your perfect holiday location.